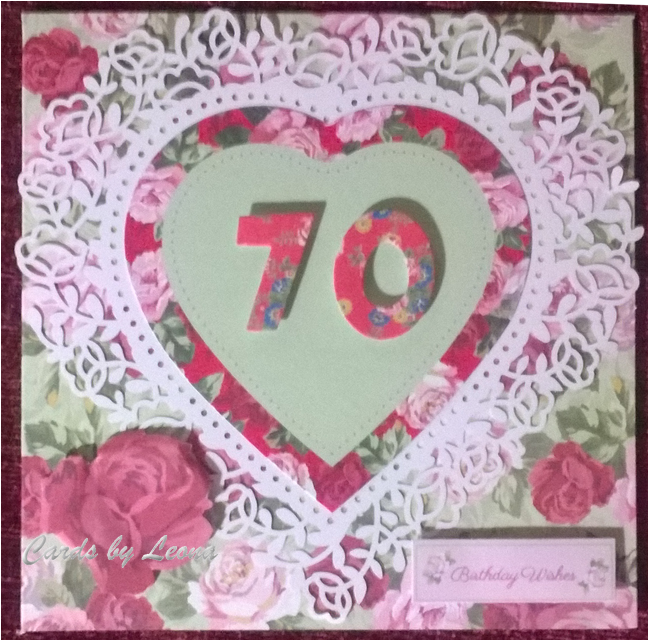 Here is another 70th card today, though very different from yesterday’s. I have used DoCrafts products again today but his time from the range Simply Floral. The heart doily is from their Papermania lavender capsule range.